Christian Hugo Contreras, 34, a Mexican national residing in El Paso, Texas, was sentenced Thursday in federal court in Las Cruces to 97 months in prison for his role in a marijuana trafficking and money laundering ring operating in Southeast New Mexico and West Texas. Contreras will be deported after completing his prison sentence. Contreras was one of 12 defendants facing drug trafficking and money laundering charges as a result of a multi-agency investigation targeting marijuana traffickers and money launderers operating in Southeast New Mexico and West Texas. The investigation expanded to include two smaller drug trafficking organizations that transported marijuana to Lubbock through Chaves County and Eddy County. 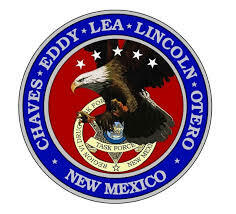 In a separate case, Contreras and four other defendants were charged in another marijuana trafficking conspiracy in Chaves County. It also charged four of the defendants with possessing marijuana in Eddy County on March 23, 2015, with intent to distribute it to others. A third case charged three defendants with conspiracy to commit a marijuana trafficking crime in Eddy County between Feb. 12, 2015, and Feb. 26, 2015. Two of the defendants were also charged with possession of marijuana in Eddy County on Feb. 26, 2015, with the intention of distributing it to others.